Marc Jacobs closes, with his Spring-Summer 2015 fashion show, New York Fashion Week. minimal and military style with various applications and decorations. New York Fashion Week with many ideas, phenomena and shock, almost epiphanic.Everything is worn on the catwalk, in the name of fashion, and in order always arduous and never granted to infuse new life. 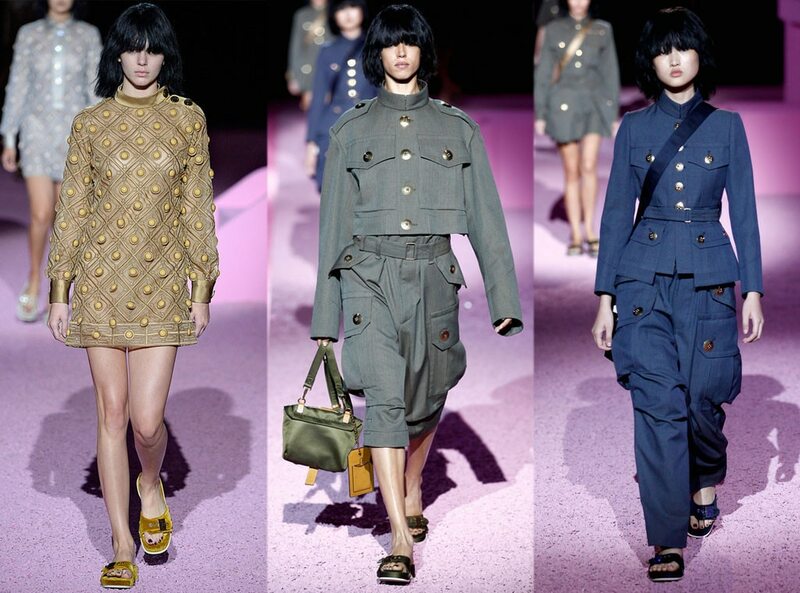 By September 11, topical date for America, for the spring-summer 2015 Marc Jacobs closes the New York Fashion Week. What is essential is invisible to the eye, rather it succeeds in breaking the sound barrier thanks to a clean and beautiful style, simple and rich, a balance perfect to describe what we have seen parading at New York Fashion Week edition 2014. Collections youth and towns that occur as sound new to the market of the fashion world, among them the proposals of the designer Marc Jacobs. 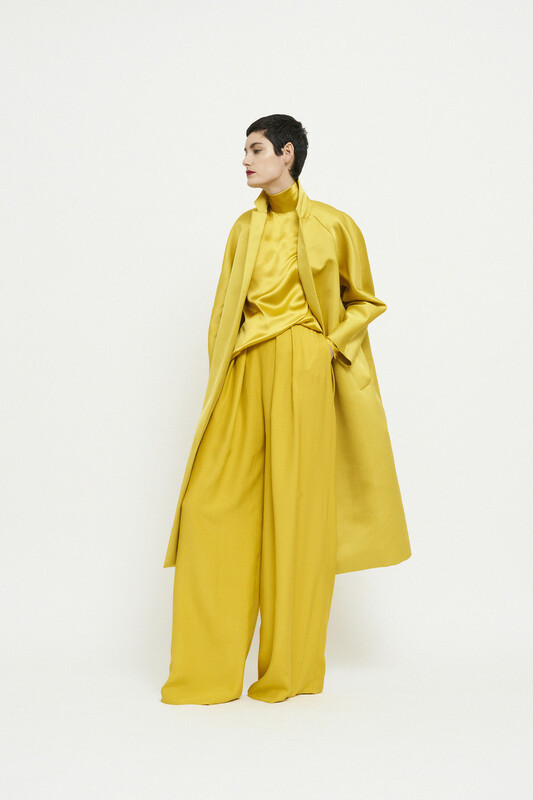 Oversized T-shirts, suits and military-style clothing, from pants, the maxi overalls, the short dress in olive green colors, khaki and blue sea. The models paraded down the runwaywearing puffy pants, clothes and jumpsuite adorned with oval wide between necklines and sleeves, and cream-colored, brown, blue. The cut of the clothes and the individual pieces Spring Summer 2015 by Marc Jacobs is a clear tribute to essentiality, the perfect portrait of the contemporary woman and minimal , by choice and style. Some spectator remarks the concept exclaiming “It is now!”. A closure in style, as otherwise he could not make the New York Fashion Week: easily associated with the background of a pink house in the world Barbie and a chirping sound like carpet. 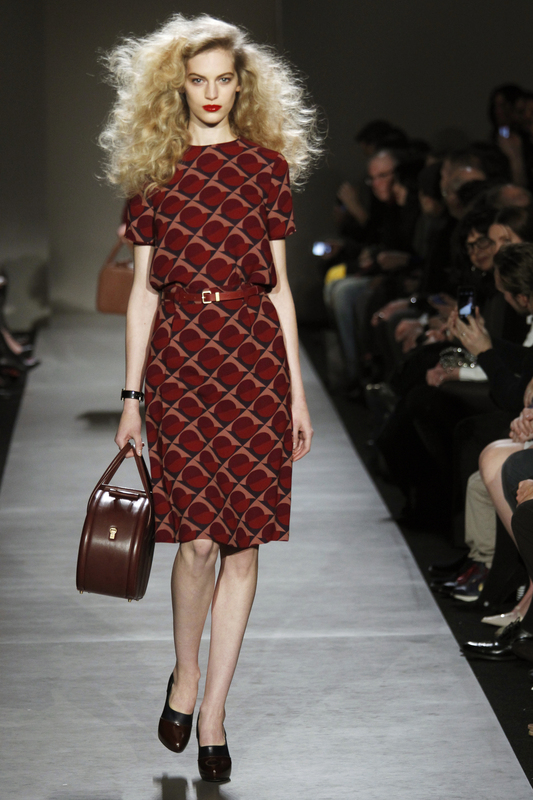 Spring is in the clothes Marc Jacobs and the chirp of a sparrow. The women on the catwalk are female travelers Indiana Jones metropolitan and, in theirjumpsuit from camouflage colors equipped with pockets and net haircut and bangs, are ready urban adventure. The applications like studs, with round surface reminiscent (at least to me!) Turkish amulets against the evil eye, blue eyes. Not only in the jungle must have an amulet, the metropolis propina daily challenges and adventures worthy of a trouble-shooting.